If you like this look, I hope you try it out yourself too. 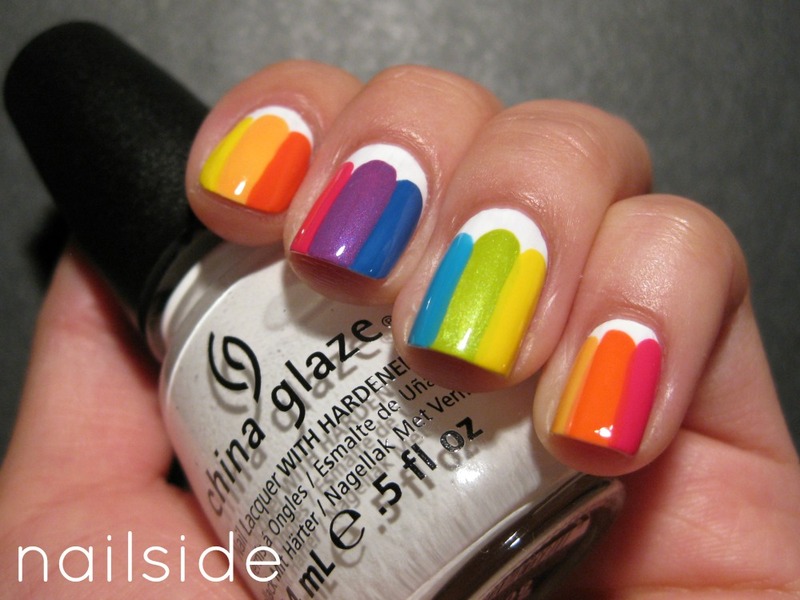 It's a quite easy way to create that oh-so-lovely rainbow effect. ^^ Thanks for reading! These are adorable and certainly brightened up my morning! So sweet. I like it very much. Aw, so fun ^_^ ! Love it; makes me smile! This is so cute! I don't have many bright colors, but I think I should get a couple more to do this look! Love it! Reminds me of Popsicles! Holy crud. I love your stuff! Seriously, you're fantastic. 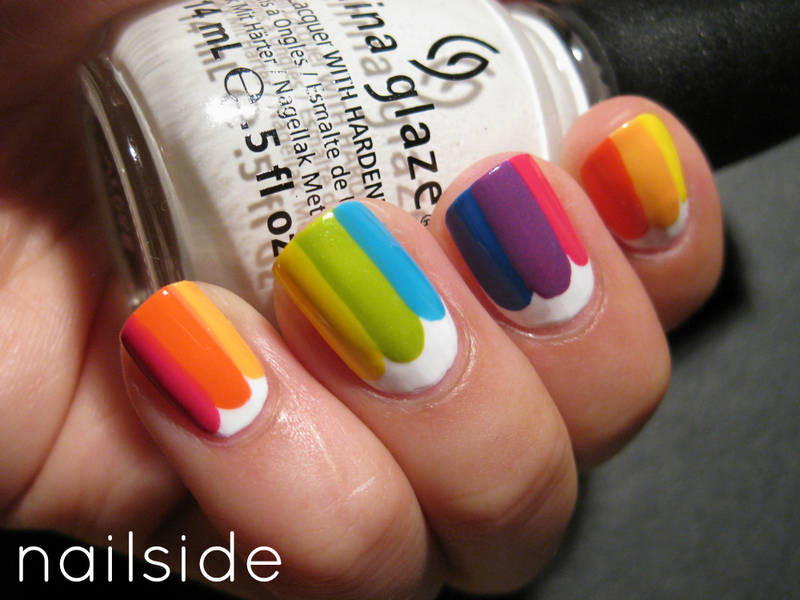 Definitely gonna try this someday when I have all the colors! Is the orange on your pinkie the same as the one on your index finger? I've been a little obsessed with finding orange nail polishes haha. Cute and fun! Really love the strength of the simplicity. Sooo pretty , you do such fun mani's! Wauw, mind = blown. Everytime when I visited your blog, I got blown away about the things you make. :) So perfect, love the colours! I love your cloud manis, this looks interestingly :). I love how simple they are, so fun! Really lovely pencils! Great manicure! I allways get so happy of rainbows! Thanks so much for the comments, everyone! :-* They mean so much to me. I love these kinds of color patterns. Just attempted this gorgeous mani but got less-than-gorgeous results LOL. Not as easy as it looks. I'm pretty okay with tape manis and strokes but my nails are ridiculously curved; pointing my fingers at my face, they're basically half-circles, so the polish either kept dripping down the sides or I couldn't see the far sides to know what I was doing. Also, the curve means more surface area to cover, so i wasn't getting your nice, narrow strokes. Sigh. Once I get the excess polish off, though, I think they're okay. I just won't be showing anyone the real deal here LOL. Girl, you are so talented.